A mobile home that is earthquake and typhoon proof! Mobile homes are very popular housing options in the Western countries because of its mobility and surprisingly sturdy structure. While the Philippines is known to be in the climatic zone where it's prone to typhoons, flash floods, and possibly hurricanes, mobile homes should definitely grow more in the country. When you thought mobile homes could look fragile and weak, you got it all wrong. Today, we're featuring a prefab mobile house that will surely turn your heads around once you hear how strong and sturdy it actually is! 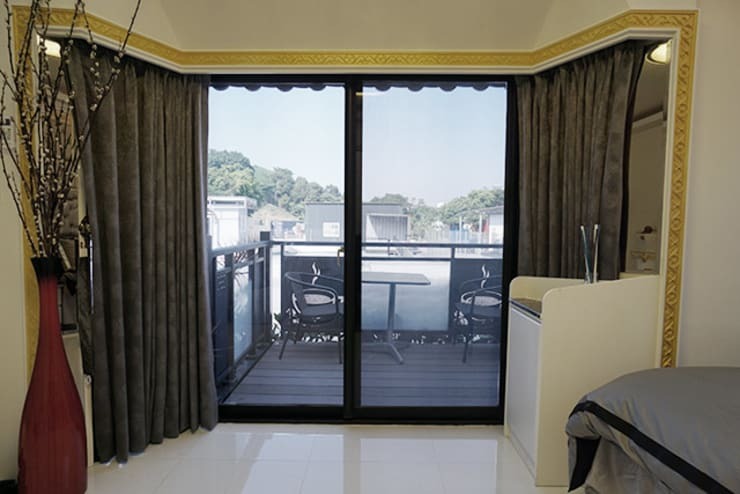 Designed and assembled as a prefabricated structure, mobile houses are built in a factory on a permanently attached chassis before being transported to the site of the house. While it may look like strong winds can easily blow it away, it's actually the other way around. Built with very conventional and strong building materials, today's manufactured mobile homes are far different from the traditional ones back in the old days. This particular prefab mobile home is built with concrete walls in wooden sidings covered with cream paint. Who would have thought that this inviting, bright home is actually a prefabricated house that can be moved? Mobile homes are very versatile, and you can play with your own style whatever you want your house to be. This blooming home model features a neutral palette in white and dark grey hues that make the home look very simple yet modish. Decorate your front yard with some greenery and a beautiful stone pavement to complete the homey feel of the house. 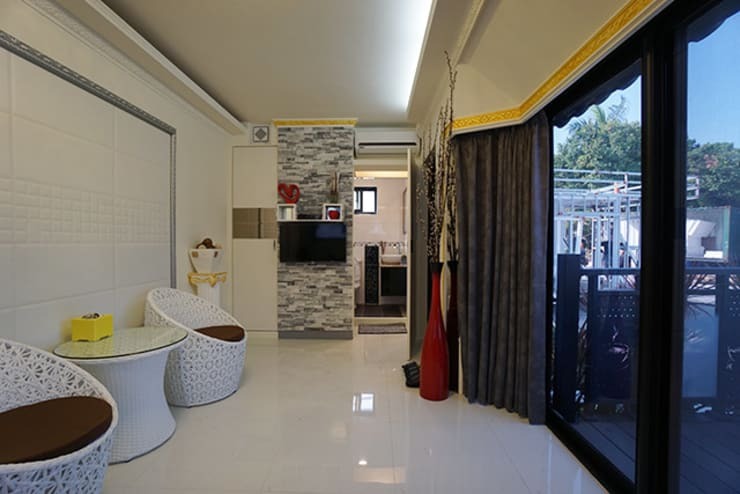 The strength and durability of this typhoon-free mobile home give credits to its strong building materials, of course. Mentioned earlier, the exteriors are made up of concrete and wooden sidings. The refreshing outdoor patio also features wooden floors in Mahogany panels. The interiors, on the other hand, offers glossy marble-like tiles and tall glass sliding doors. The inside of this small, prefab home is as beautiful as its outside features! The living room actually appears to be very spacious because of its minimal furniture and clean flooring design. A striking accent wall designed in grey bricks also stands out from the rest of the interior elements! Pretty on the outside, posh and stylish on the inside too! 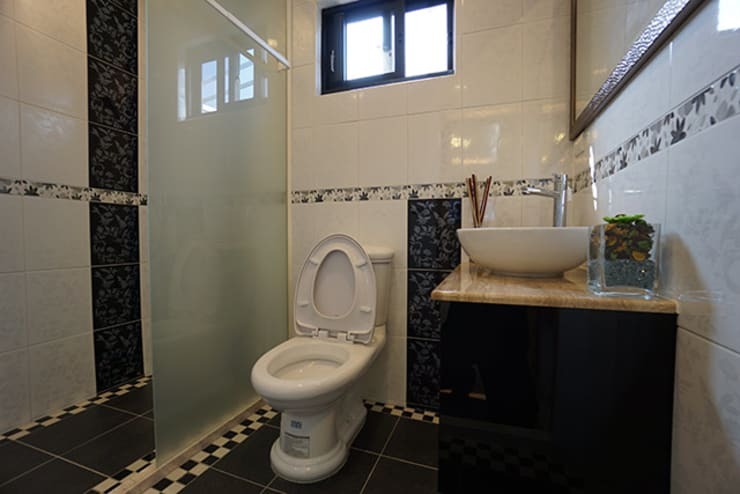 This gorgeous bathroom design offers us perfectly designed wall and floor tiles that wraps up the overall chic design of this mobile home. Curious to learn more about mobile houses? You definitely have to see these 8 mobile homes equipped with everything you need!